Behind Freddy Krueger's pockmarked mask and razor-tipped gloves, actor Robert Englund has inspired nightmares in more moviegoers than virtually any other on-screen menace. 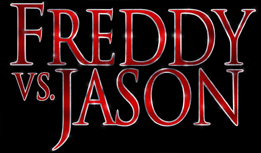 In his new movie, Freddy vs. Jason, he faces his own worst nightmare: a confrontation with Friday the 13th's Jason Voorhees. But when the cameras aren't rolling, the bloody rivalry doesn't seem to bother Englund one bit. So what does keep Englund up at night? Find out why screaming fans, feral hobbits and San Diego girls-gone-wild creep out Freddy Krueger, as Englund records an exclusive diary while attending Comic-Con, America's largest comic convention. 7-19-03, 11:21 a.m. Robert Englund here. I'm in the humidity from Mexico in the Gaslamp Quarter of San Diego. I just met Don Davis, the most ubiquitous actor in the history of television. He's on every other episode of the 'X-Files.' He's in his limo. There are hobbits in the bar behind me and I'm getting ready to go to Comic-Con. It is exactly 11:20 and I've finally been recognized here out of make-up. Over and out. 7-19-03, 11:25 a.m. I'm finally in the limo. My agent, Stephen Lo, went into the lobby and disappeared -- I think he was doing shooters with hobbits -- but we're finally off to Comic-Con. This is my first time. I'm a little disappointed. Apparently there's no Elm Street, only a Camp Crystal Lake, but we'll just have to see about that. 11:25 and counting. 7-19-03, 11:31 a.m. I'm outside Comic-Con, the line here is around the block. I'm telling you, there's more fans here than I saw in British Vancouver when Wayne Gretzky came back. This is pretty impressive. I have a hunch a lot of the young males are here for Angelina Jolie. I understand Lara Croft is here, in person, in the flesh -- nudge nudge, wink, wink. I'm going to follow some hobbits. I'm on my way to the one-on-one interviews. (Pause) I'm still seeing fans, literally six to eight hundred fans, potentially a thousand fans just outside milling about. 7-19-03, 11:32 a.m. In the distance is the bridge to the Coronado Island from Some Like It Hot. 7-19-03, 11:34 a.m. We're now entering the mystery loading dock. This is so the orc fans don't mob me and Jason. 7-19-03, 2:09 p.m. I'm backstage with Ken Kirzinger [who plays Jason Voorhees], we're about to go out to the dais with [producer] Sean Cunningham and [director] Ronny Yu. The audience is rabid. They've just seen a preview of Texas Chainsaw Massacre umpteenth. (Massive applause) We're getting ready. We're backstage and here we go. 7-19-03, 8:49 p.m. It's 8:50. I'm walking through the masquerade here at Comic-Con 2003. I still don't have my script, but I'm getting closer to committing to winging it. However, the Goth girls are beginning to arrive. They are filtering in. If it wasn't for the rest of the line-up, I would be very attractive to some of them. More later. Hope I get a script soon. 7-20-03, 12:35 a.m. I'm here at the imitation Sky Bar on the rooftop garden of the W in downtown San Diego. Most of the Comic-Con is over. Stephen Lo is sitting shotgun with me. We're under a garden umbrella. It's so humid, we're all slick and shiny like we've been pasted with Vaseline. The floor is covered with pristine pure white sand. The problem is that the anorexic girls of San Diego, the wanna-be Gwyneth Paltrows, have all stubbed out their little lipstick-laden cigarettes and it's getting a little disgusting for my friend Stephen Lo. 7-20-03, 1:35 a.m. Late night. Still on the roof. Hobbits are missing. Orcs are missing. Jason's working the nubile girls. Stephen Lo is still upright. 1:30 in the morning. Tomorrow the signing will be undivine.